Golden Spanish phrases Spanish is a rich language, and as you might, or you might not know it has plenty of sentences, expressions…prefixed! That is awesome as they can give you some golden Spanish phrases you can use without thinking about the grammar, that is always a win! 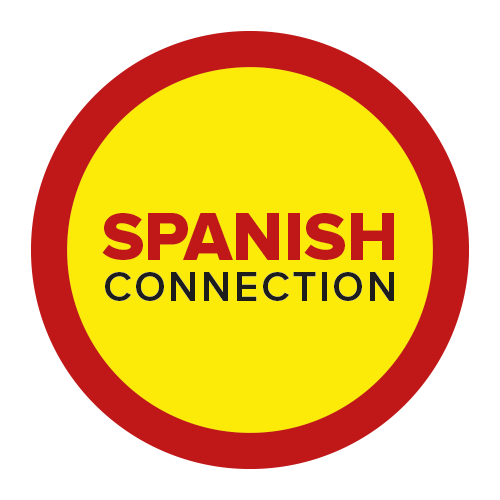 In today’s blog I wanted once again talk about the riches of the Spanish language. Spanish language has lots of touches and that is amazing as we have some prefixed sentences we can start using straight from the gate. 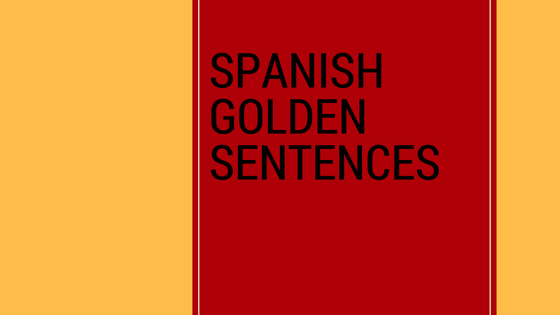 Today I have some golden Spanish phrases for you, they are fixed sentences you can use as they are, not grammar required (woohoo). But… I did not want to tell you before so you keep reading and don’t panic, but this golden Spanish phrases I got for you use the subjunctive! You are probably shaking if you have heard about the subjunctive before, and if you haven’t, don’t worry, don’t even try to look up what it is! Just let me tell you, you are lucky, as you will have a head kick start! Before keep going let me tell you I am not going to go into detail in the subjunctive, at least today, but you are going to learn some golden Spanish phrases that use the subjunctive and they are super common. In these phrases the subjunctive is already formulated, so you don’t need to think about the use, the grammar, nothing! Well…you just need to pay attention and find the situations where you could use them ( I bet you find plenty). IMPORTANT NOTE-keep in mind that quienquiera/quien sea (whoever), dondequiera/donde sea (wherever) and comoquiera/como sea (however) are followed by subjunctive, so if you haven’t learn it yet you could just use these ones on answer not in full sentences. ¿Quién quieres que te ayude a organizar la fiesta? Who do you want to help you organize the party? ¿Dónde quieres ir de vacaciones? Where do you want to go on holidays? ¿Cómo quieres que ordene los libros? How do you want me to order the books? If you want to have these golden Spanish sentences with the subjunctive already formulate (and some examples) you can download them in pdf here. I hope you enjoyed these gems and you find them helpful in your Spanish conversations. -Are you familiar with the subjunctive? -Did you know these sentences? -Are there any other sentences you would like to know in Spanish? Leave a comment and let me know, also it would be awesome for your Spanish if you could leave a comment in the comment section below with one of the golden phrases you are learning today. Remember…Practice makes perfect! ¡Ten un buen día!-Have a good one! Gracias por la lista. Tienes más ejemplos donde la primera palabra es repitido? ¿Tienen un nombre especial? ¡Hola Paul! Gracias por tu comentario. Estoy contenta de que te guste el blog. No entiendo que quieres decir…¿Me puedes decir que palabra es, o dar un ejemplo por favor?